Ahmedabad-based Almamapper Technologies Pvt Ltd, which runs education networking and peer-to-peer learning platform Almamapper, has raised $400,000 (Rs 2.6 crore) in seed funding from Oswal Techno Ventures LLP. Almamapper will use the money raised to expand in India and venture into overseas markets, Almamapper said in a press statement. 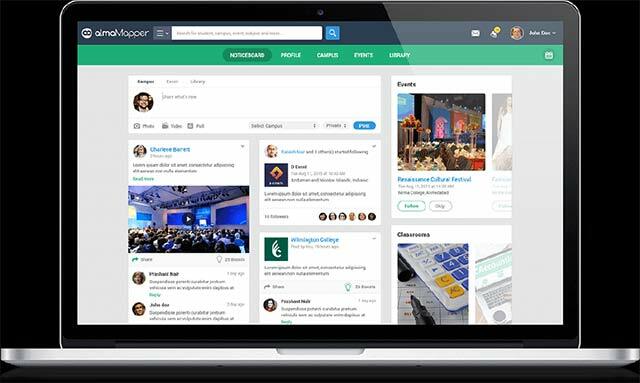 Almamapper was co-founded by Institute of Management and Nirma University graduates Pankaj Kaul and Chandra Mauli Sharma in 2011. It is a free utility platform that aims to solve everyday problems of students by connecting teachers, campuses and students. Almamapper has signed MoUs with over 40 colleges and currently has a user base of about 50,000, the statement said. "The platform helps colleges with a much needed digital footprintâ€¦From revenue perspective, we have started tying up with strategic vendors that offer products and services focused at the student community. The objective is to offer select value deals to students to make their life easierâ€¦," said Kaul, co-founder and CEO, AlmaMapper. The company employs 10 staffers across in Pune and Ahmedabad. It will launch a mobile app next month. As per a recent report by India Brand Equity Foundation, India's education market is worth $100 billion. Higher education accounts for about 60 per cent of the total market. The education technology space has been generating tremendous interest among investors. Recently, Schoolguru Eduserve Pvt. Ltd, a provider of e-learning services, recently secured Rs 20 crore ($3 million) in a Series A funding from family offices of affluent individual investors based in India and the US. Before that, Prozo.com, an online marketplace for buying and selling study material, secured seed funding of $205,000 (Rs 1.37 crore) from a group of investors. US-based Coursera Inc, an education technology company that partners with universities to offer courses online, recently secured $49.5 million in the first closing of Series C funding from New Enterprise Associates (NEA), Times Internet (TIL) and others investors. In June, Bangalore-based Suphalaam Technologies Pvt Ltd, which owns and operates online education marketplace CAKART.in, had raised an undisclosed amount in angel funding from Sunil Maheshwari and other unnamed investors. Earlier this year, Info Edge (India) Ltd, which runs a slew of internet properties such as Naukri, 99acres, Jeevansathi and Shiksha among others invested an additional Rs 25 crore ($4 million) in Applect Learning Systems Pvt Ltd, which operates the online education and assessment venture Meritnation. Recently, Delhi-based education technology firm Wincourse acquired 85 per cent stake in Mappr, a social learning platform where students can share notes and interact with teachers, for an undisclosed amount.